You can see these colored strips at these links: week 1, 2, 3, and 4. Unfortunately, a scan of a scan of a scan loses some quality with each successive generation, and there was a little fuzziness around the edges. So today we are presenting the original strips for reference purposes (they are only a scan of a scan :)). Click any of the images below to embiggen the glorious black and white original. Thanks for reading! New strip Then Comes Marriage starts this week. And check out Mark’s new book The Launch which features some of these strips (release date December 8th). There’s a new book coming soon from Hanton House Creative Media that we’re pretty excited about here at L&Y headquarters. 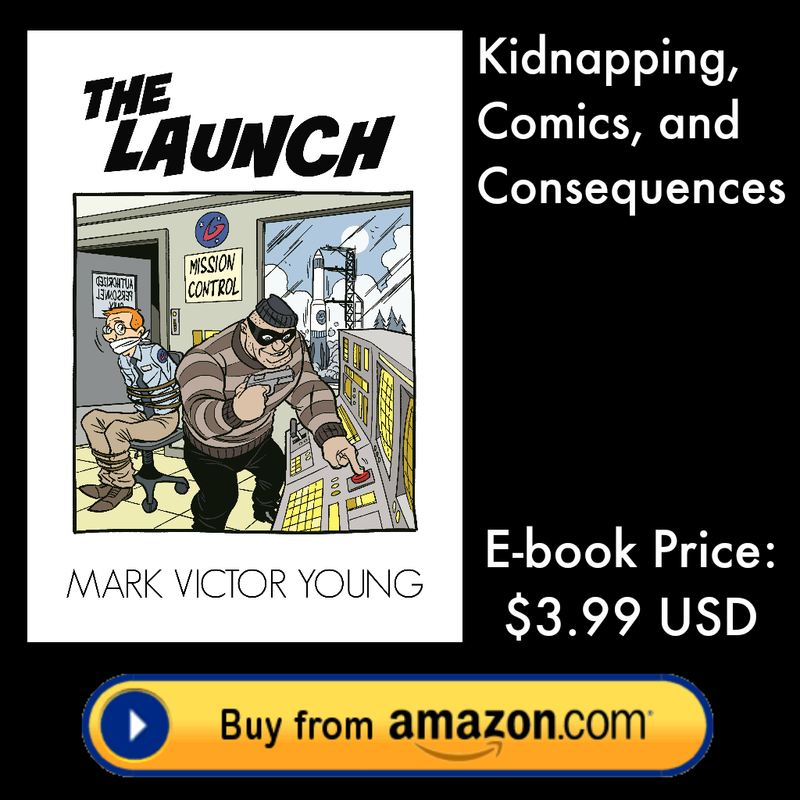 Featuring words by Young and comic strips by Levins and Young, it promises to bring the funny in a big way. Please join the Thunderclap to help us spread the word. That’s them all shiny and new out of the box. We’ll be running some giveaways as well as getting advance review copies into the hands of reviewers soon. Tim’s copy is in the mail (but don’t tell him that or you’ll spoil the surprise). Sample chapter now available as well as teaser vid from Mark’s YouTube channel below. This Sunday’s splash of colour comes from the cover of the latest issue of SCENE Magazine, the original home of Rivertown News. 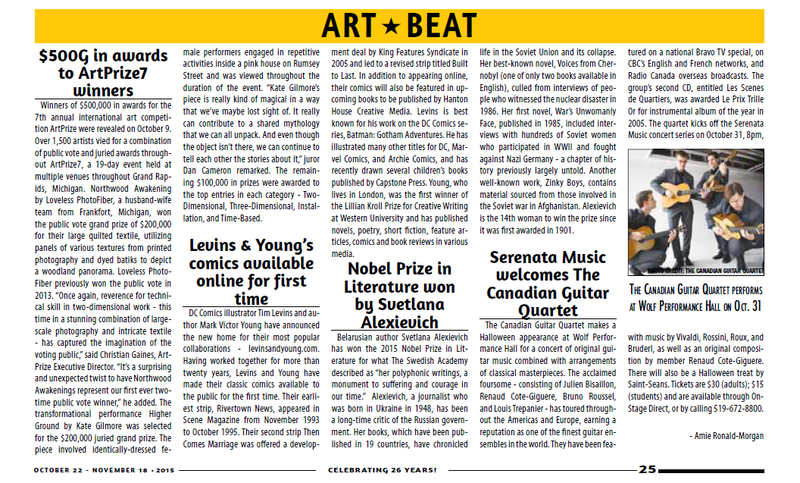 They were nice enough to publish a short piece about our new website in their Art Beat section. See below for the cover and a screen cap of the article. Thanks for reading!